From artists and nurses to industrial technicians, graduates of Valencia College’s mechatronics program are launching new careers. avanna Matson knew she needed a new job. Actually, not a new job. She already had two jobs—working 60 or 70 hours a week between her job at an Orlando theme park and another part-time job at a retail store—all to keep her head above water as she juggled car payments, rent and student loan debt. When she had three days off in a six-month period and spent her 21st birthday working at the theme park from the minute the gates opened until they closed 13 hours later, she knew what she really needed was not just another job; she needed a career. 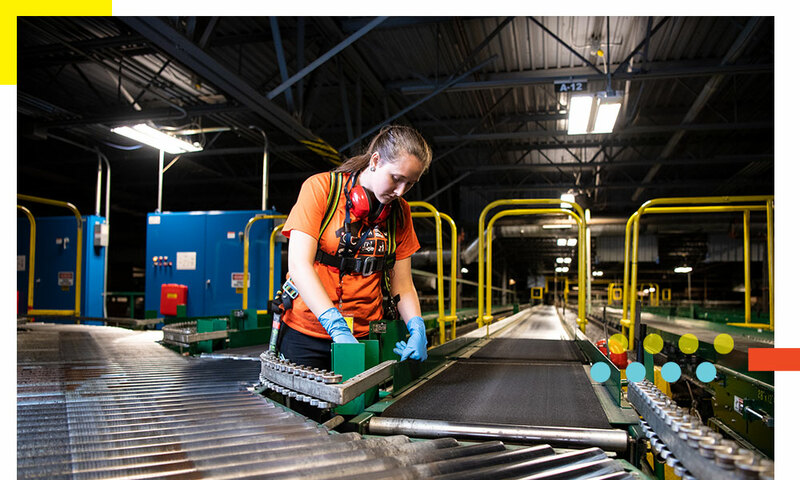 As a senior industrial maintenance technician, Savanna Matson inspects and maintains 13 miles of conveyer belts in the Walgreens distribution center in Orlando. After working two jobs, 60 to 70 hours each week, she was barely making ends meet, until she signed up for a six-month course in mechatronics at Valencia College. Today, she earns $21 an hour and is taking classes to earn a bachelor’s degree, so that she can eventually become a manager. So, Matson began researching trade schools. That wasn’t her original plan. After high school, Matson landed a full scholarship to the Minneapolis College of Art & Design. She loved the college, but her scholarship covered only tuition. And at art school, the cost of materials and her rent sent her deep into student loan debt. is a relatively new field that combines aspects of mechanical and electrical engineering—along with hands-on troubleshooting. 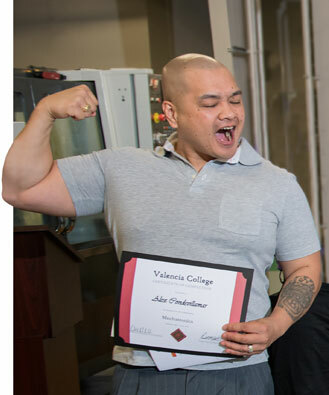 At Valencia College, mechatronics students learn the basics of hydraulics, electronics, fluid power and maintenance processes—so graduates leave with the skills to repair or maintain many types of equipment. Starting spring 2019, mechatronics will be offered at a new, additional location: downtown. Back in Florida, she spent a year working at minimum-wage jobs, but struggled to pay her bills. Recalling those cool classes from art school, Matson explored welding classes at Valencia College’s Advanced Manufacturing Training Center in Kissimmee. But on a tour of the facility, she discovered that the next welding class was full—and she’d have to wait until a new term started. If you want to start right away, College officials said, you can sign up for mechatronics. That path, however, has led Matson to a new career. She’s now working as an industrial maintenance technician at a Walgreens distribution center in Orlando—and making more than twice what she earned in her previous jobs. 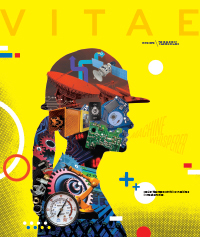 Savanna Matson started college in art school, but found a wealth of opportunities after she took a six-month course in mechatronics. 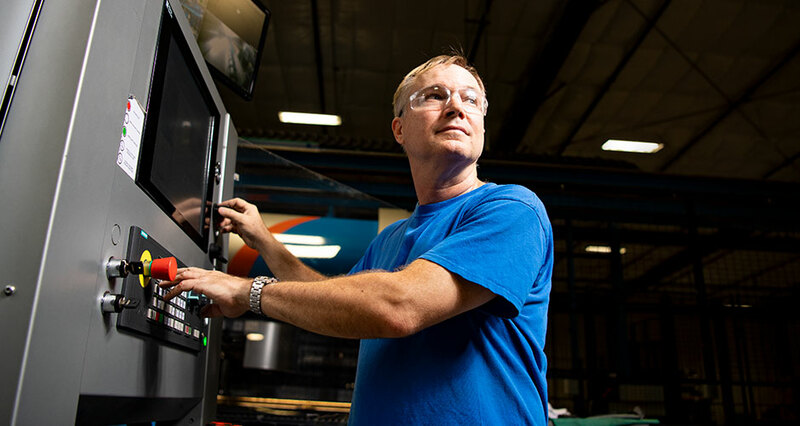 At the Advanced Manufacturing Training Center, instructors have a mission—to teach students high-tech skills that local manufacturers desperately need. The facility, which Valencia opened in 2016, offers students the chance to train for a new career in as little as 12 weeks or up to six months. Valencia College added the mechatronics class in 2017, after growing demand from the industry. Mechatronics is a relatively new field that combines aspects of mechanical and electrical engineering—along with hands-on troubleshooting. In classes, mechatronics students learn the basics of hydraulics, electronics, fluid power and maintenance processes—so graduates leave with the skills to repair or maintain many types of equipment. “The majority of our (mechatronics) grads are becoming industrial maintenance technicians. They are troubleshooters, problem solvers. 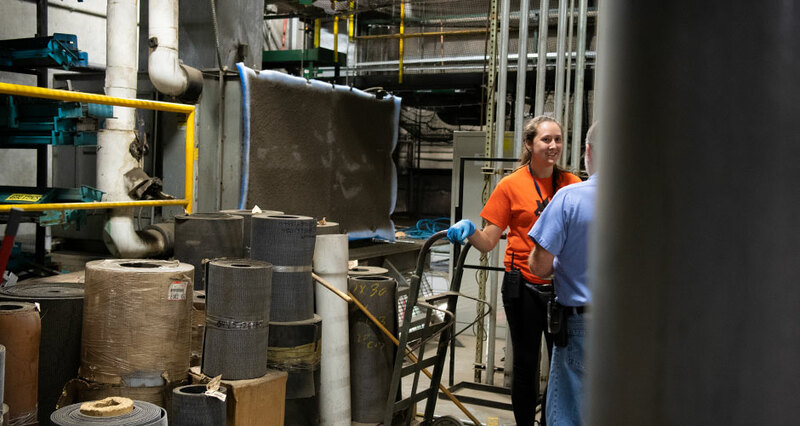 They go to a piece of machinery that’s not functioning, that’s not producing, and fix that problem and get the organization back on track,” says Carolyn McMorran, assistant vice president of professional and continuing education at Valencia College. As more factories and workplaces rely on robotics, they’re more dependent on people with advanced skills to repair them. Valencia’s Advanced Manufacturing Training Center in Kissimmee offers short-term courses in welding, mechatronics, electronic board assembly and more. Mechatronics instructor Robert MacMillan learned to fix everything while growing up on a farm. MacMillan, who spent his teenage years working on his family’s Pennsylvania farm, learned troubleshooting skills at a young age. “On a farm, you have to fix everything,” he says. At age 17, he joined the Navy and served 20 years, working as an aviation electronics technician and later, an engineering assistant. The many skills he learned in the Navy, while working on airplanes and naval weapons systems, fit nicely into the mechatronics program—which teaches students the basics of hydraulics, pneumatics, maintenance, mechanical systems, electronic control systems and programmable logic controllers. The course covers that material, plus gives the students experience troubleshooting, in 22 weeks. Dean Scott, who has spent a lifetime learning new skills, retired from a career in graphic design and now puts his inquisitive nature to work at Earnest Products in Longwood. Graduates admit the course is tough, but the hands-on nature of the class make it easier to digest. “Some of it was pretty challenging, especially when the course got into the electronics. 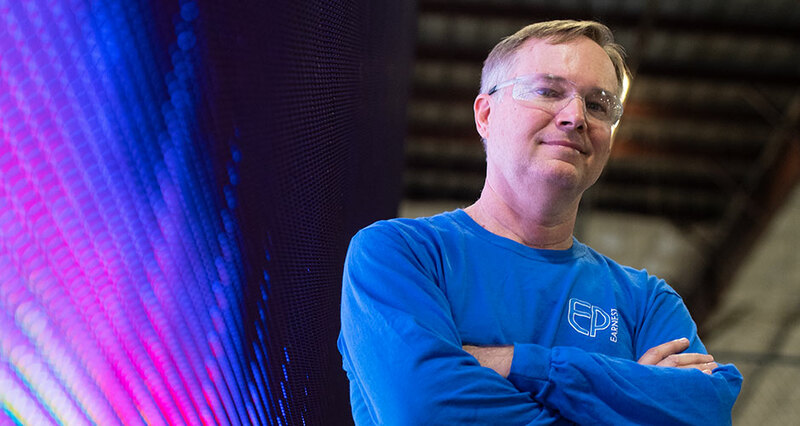 It gets very complex… there’s so much to learn,” says mechatronics grad Dean Scott, who now works as an industrial maintenance technician at Earnest Products in Longwood. See more of Dean’s “lifelong learning” and his ongoing quest for knowledge that stretches throughout his life. Today, Scott spends much of his workdays doing preventive maintenance on many of the metal-forming machines at Earnest Products. In addition to preventive maintenance, he and his two colleagues are called upon to fix machines when they break down. “I like it. You’re always doing something different,” he says. 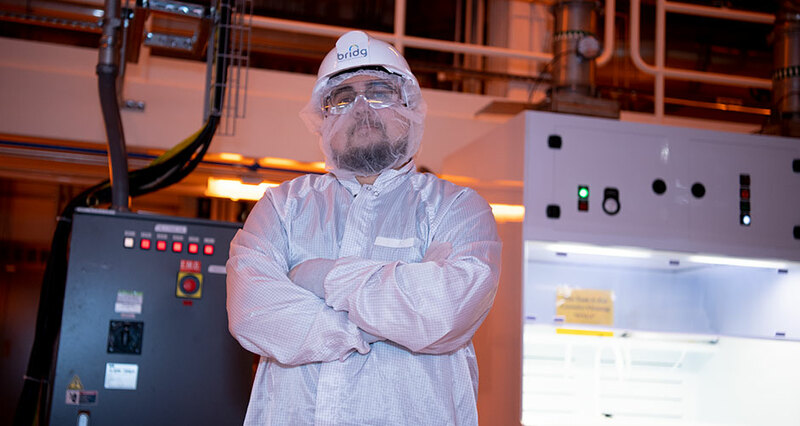 Today, that former nurse, Alex Condevillamar, works at RUAG Space, a Swiss company that produces satellites at its Titusville facility. “His job title is ‘spaceship technician,’” says MacMillan, “which may be the coolest job title ever.” Condevillamar is in RUAG’s apprenticeship program and will soon be trained in CNC (computerized numerical controls). For those who complete the program, there are a wide range of job options. Graduates of Valencia College’s mechatronics program have been hired by a wide variety of companies, ranging from Peddinghaus, a Chicago-area company that makes CNC systems and structural steel, to Frito-Lay, which hires mechatronics grads to run the automated production line at its Orlando facility. 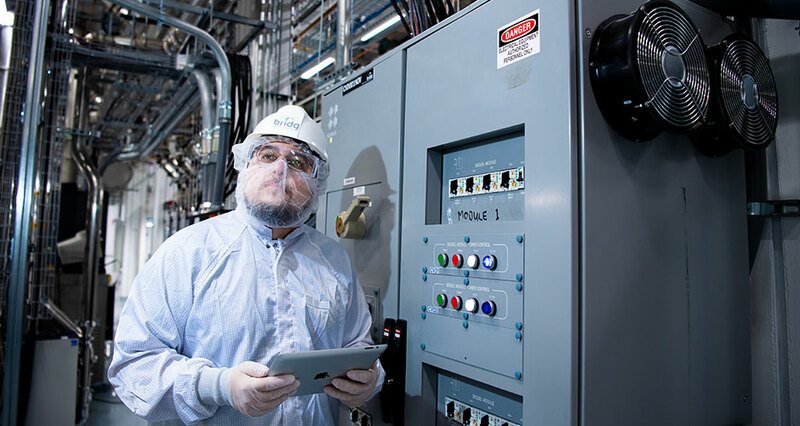 At Frito-Lay, mechatronics grads are being hired to run the machines that cook, weigh, inspect and package thousands of potato chips and tortilla chips each hour. Mechatronics grad Alex Condevillamar now works as a spaceship technician for RUAG Space, a Swiss tech company. When U.S. Education Secretary Betsy DeVos visited Valencia’s Advanced Manufacturing Center in 2017, mechatronics student Alex Condevillamar explained the basics of mechatronics to her. Don’t sneeze at any of those jobs. Graduates start out earning $20 to $30 an hour—and some have started as high as $37 an hour. Two of the students currently taking the mechatronics classes are now working as interns at the BRIDG high-tech research facility near Kissimmee. 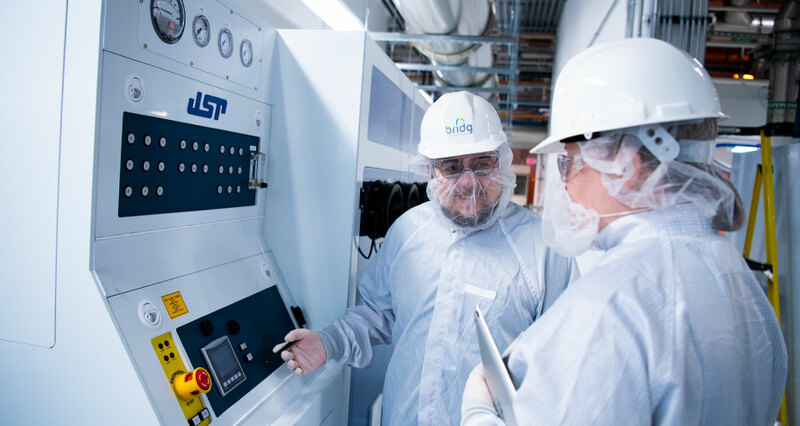 There, they do most of their work in the high-tech “clean rooms,” learning how to repair and operate the equipment used to make semiconductors. Mechatronics student Raymond Roberts is currently interning at BRIDG, a high-tech research facility near Kissimmee. 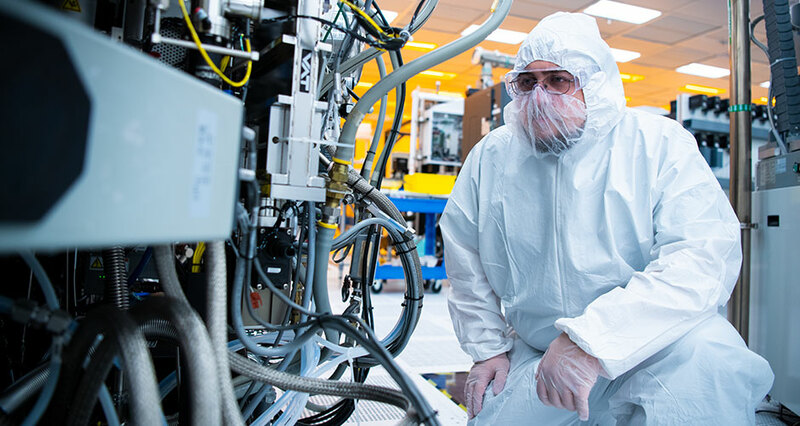 There, he works in clean rooms, learning how to repair and operate the equipment used to make semiconductors. Roberts, 27, a Navy veteran, likes the hands-on learning he’s getting at the Advanced Manufacturing Training Center. For students, the class is interesting and challenging. And the instructors are nearly as charged as the students. And no one could be prouder at graduation ceremonies than MacMillan. After a six-month training program, his students leave with job offers—and family members who are often happier than the graduates. “I see these parents and they have tears in their eyes, because their son and daughter can now support themselves, their families,” he says. Raymond Roberts, a Navy veteran, signed up for mechatronics training to get hands-on training, and hopes to eventually become an electrical engineering technician. Matson and a team of other maintenance technicians—including another Valencia College mechatronics grad, Brendan Moniz—maintain the distribution center’s extensive system of conveyer belts and other machinery. “We have like 13 miles of conveyer belts. 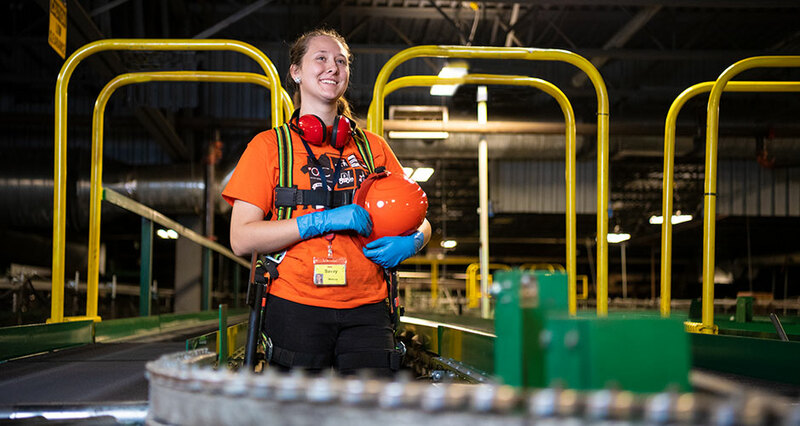 It’s my job to make sure the conveyers are running properly and nothing’s gotten stuck,” says Matson, whose friends and coworkers call her Savvy. For her boss, Walgreens maintenance chief Richard Kowalewski, finding people with the skills for the job has been challenging. “Two years ago, I was six people down, out of a 24-person staff,” he says. When he advertised for industrial maintenance technicians, he found people with basic skills, but not the advanced skillset he was looking for. “I could get people who could pass my general technician test, but I couldn’t get people who could pass my senior technician test. Brendan and Savvy both passed,” Kowalewski says. Kowalewski, who has a master’s degree in maintenance engineering and spent decades as a Postal Service maintenance chief in Philadelphia, says he’s eager to hire graduates from Valencia College’s program—even if he can’t keep them. Savanna Matson inspects the conveyer belts that feed 13 miles of conveyers in the Orlando Walgreens distribution center where she works. But for Matson, the Walgreens job is the starting point for a career that could lead in many directions. Today, she is earning $21.21 an hour, compared to the $10 hourly wage she made at her theme park job. And she gets holidays off and paid vacation time. While many of her coworkers are thinking about retirement, Matson is focusing on her future. She has begun taking classes to earn an A.S. degree in industrial management—which she’ll need if she wants to become a supervisor or manager. At Valencia College, we often talk about the importance of “lifelong learning”—an ongoing quest for knowledge that stretches throughout your life. And there is perhaps no better example of that than former Valencia student and employee Dean Scott. 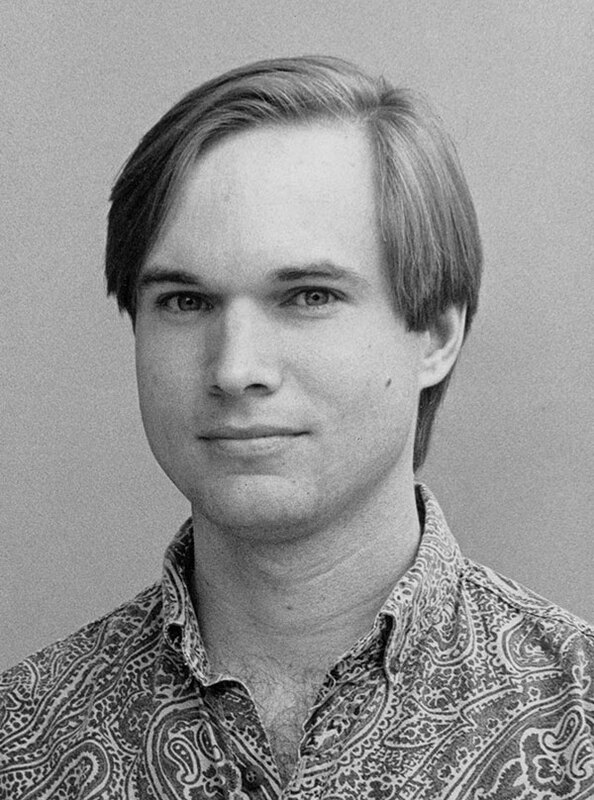 Scott, in a photo from the early 1990s, when he was working at the Museum of Florida History. 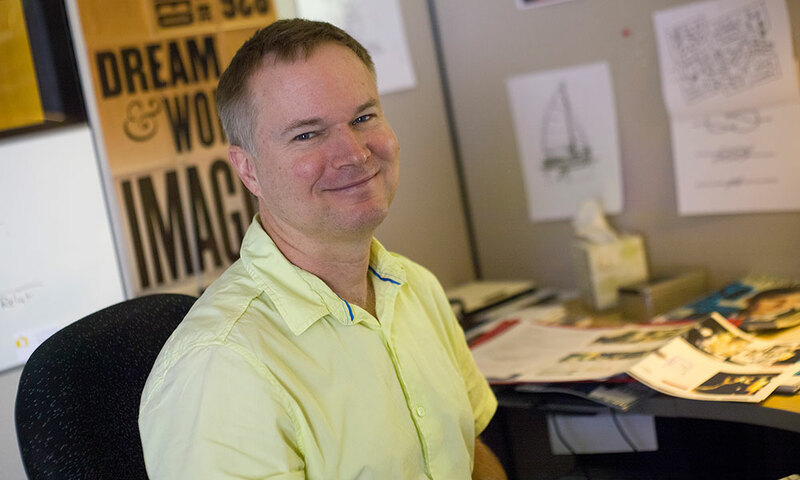 While working for Litton, Dean began freelancing as a graphic designer, occasionally doing work for Lee Pharr, who had worked as a stage and set designer and senior artist with Walt Disney Imagineering. 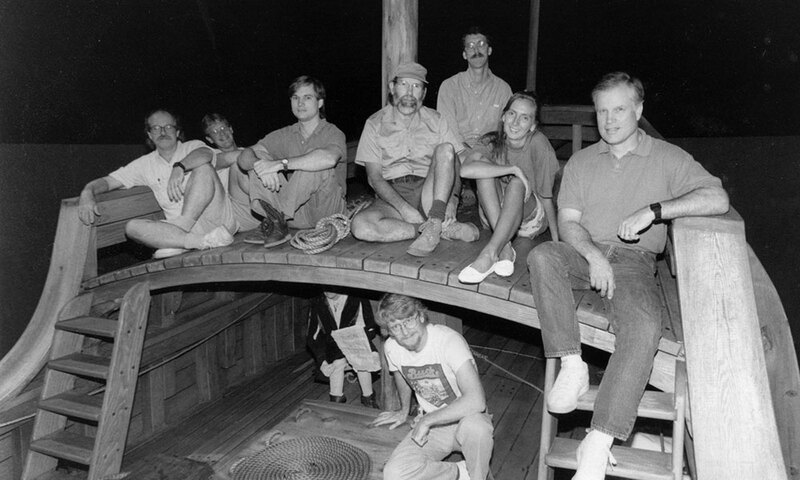 In 1983, Pharr became director of art and architectural design at Church Street Station in Orlando—Bob Snow’s groundbreaking urban revival entertainment district that became a magnet in downtown Orlando. In 1984, Pharr hired Dean, and the young Valencia grad soon began doing all kinds of graphic work for the Church Street restaurants and bars, including menu designs, facilities graphics and stained-glass graphics. “Pharr did everything,” recalls Dean, including the designs for the Church Street Exchange, the Bumby arcade, stained glass installations and more. “He even designed that pedestrian bridge over Church Street,” Dean recalls. 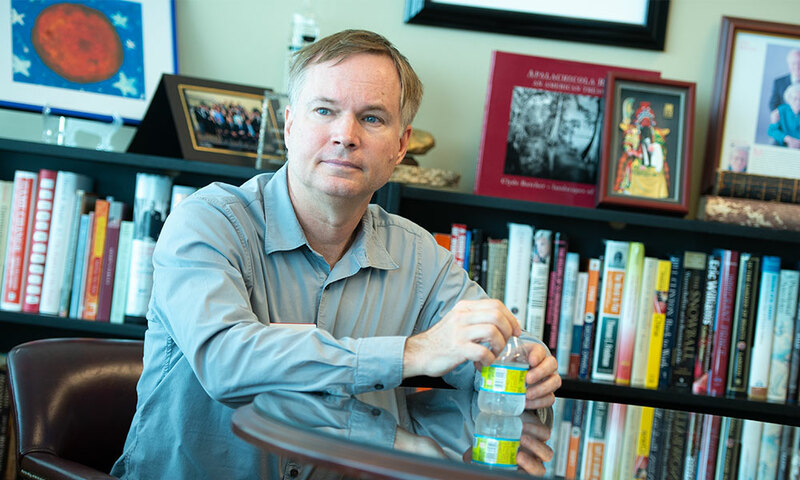 Dean Scott, a Valencia College grad and a real lifelong learner, started his career in graphic design. In the late 1980s, he designed and painted a mural for the Tropical Theater in downtown Orlando. In 1986, Dean left and began freelancing again, doing some work for the Walt Disney Company, and a manufacturer of baseball caps, for whom Dean designed graphic images. After three years, however, he felt the urge to move on—and begin tinkering with jewelry design. 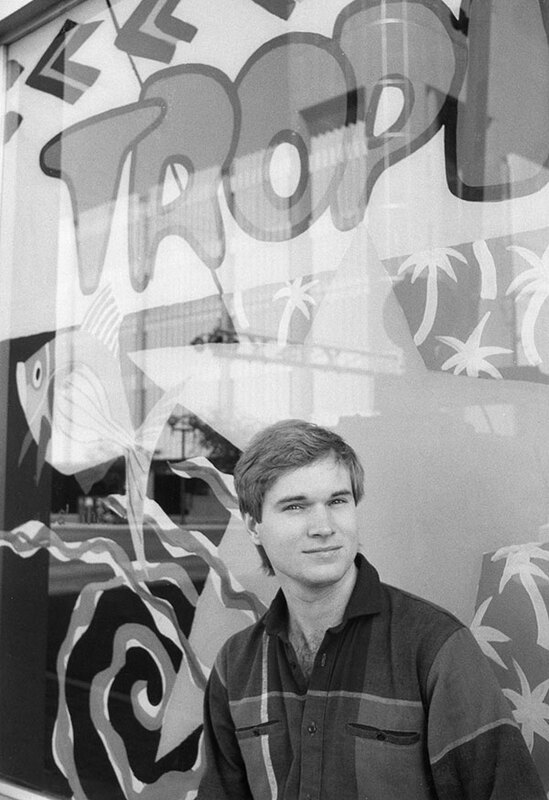 Always eager to learn, Dean moved to Tallahassee and enrolled at Florida State University, where he took classes with William Harper, a world-renowned jewelry designer whose work is in the permanent collections of the Metropolitan Museum of Art, the Philadelphia Art Museum and many others in the United States. 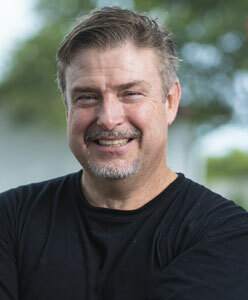 While studying at Florida State, Dean landed a part-time job doing computer graphics for a company that created instructional videos and animation that were used to teach middle-school science. But in 1990, he landed a job that really excited him and pushed him in a new direction—as an exhibit designer at the Museum of Florida History. 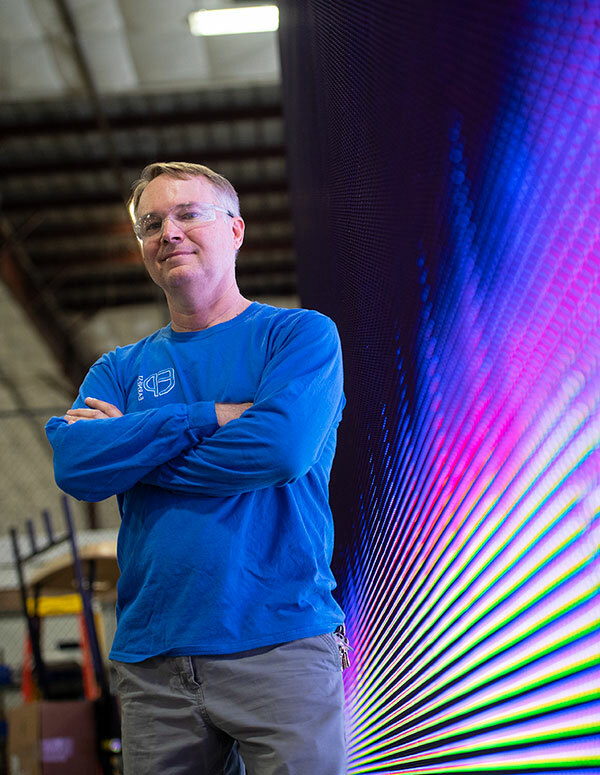 In 1994, when the former Tallahassee museum director became the director at Tampa’s Museum of Science and Industry (MOSI), Dean landed a job there, helping to design signage for an expanded wing of the museum. 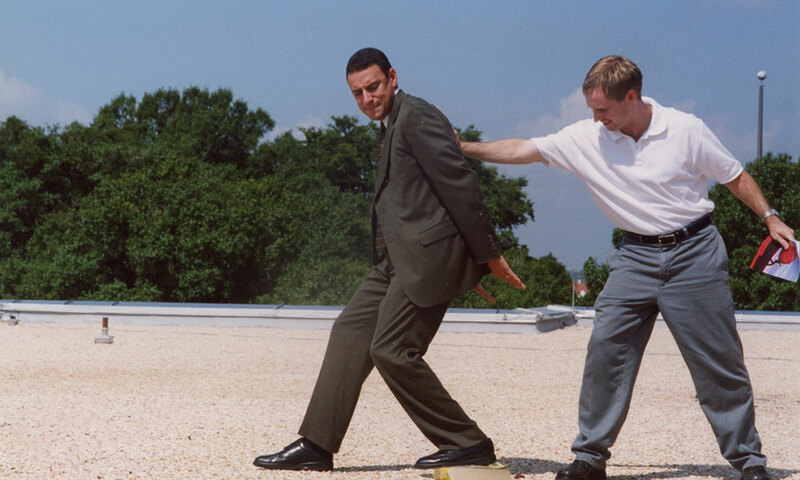 The job was temporary, however, so Dean began looking for another, more permanent position. After working as a freelance graphic designer for a while, he spotted an ad for Valencia, which needed a part-time graphic artist. 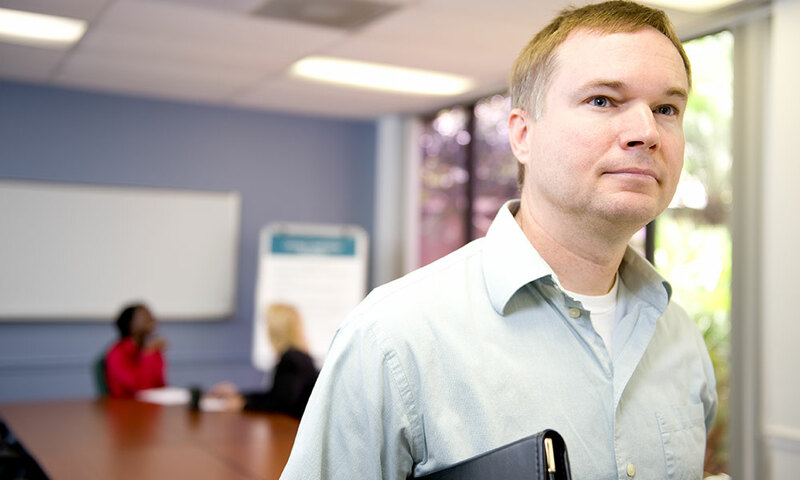 Dean landed the job at his alma mater and started work in February 1996. Later that year, he was hired full-time. 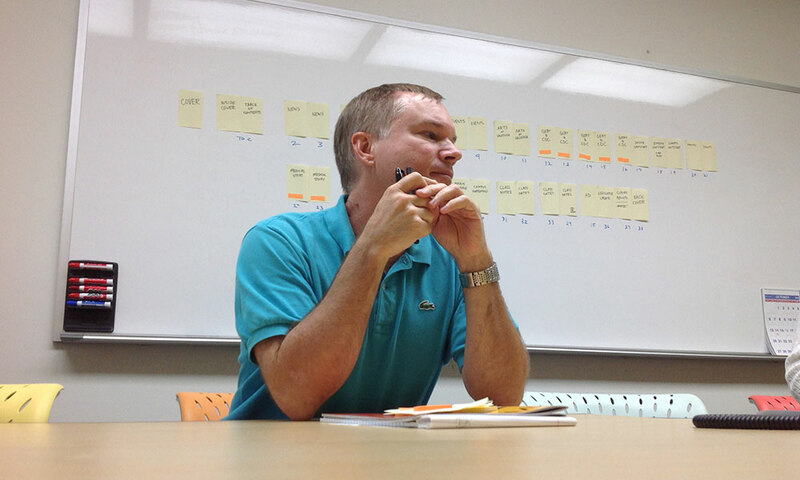 Dean Scott worked in Valencia College’s marketing department as a graphic designer from 1996 until 2016, when he took early retirement. 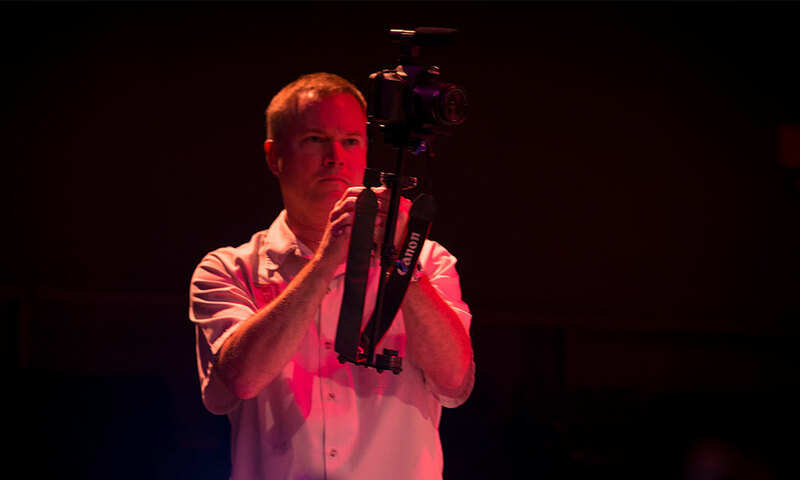 During that time, he oversaw photo shoots, designed print and online materials for the college, filmed video clips, helped corral models during photo shoots—and sometimes served as a model in Valencia photos—and worked as the primary designer for the college’s alumni magazine, Vitae. But landing a full-time job didn’t stop Dean in his quest for learning. A few years after he began working at Valencia, he started taking evening classes in horticulture. So he began looking around for a new career—one he could launch at this stage in his life. And the more he listened to the folks at Valencia talk about the Advanced Manufacturing Training Center, the more appealing it became. “One thing that was really attractive about AMTC was the short-term nature of it. Five-and-a-half months and you’re done. That really drew me in,” says Dean. Besides, he likes working with his hands, fixing things. He has worked on his own cars, his bikes and as a homeowner, regularly taught himself to do minor reports ranging from plumbing to kitchen remodeling work. So he signed up for classes in the AMTC’s mechatronics program—where his love of learning took him in new directions.